This card really pops. 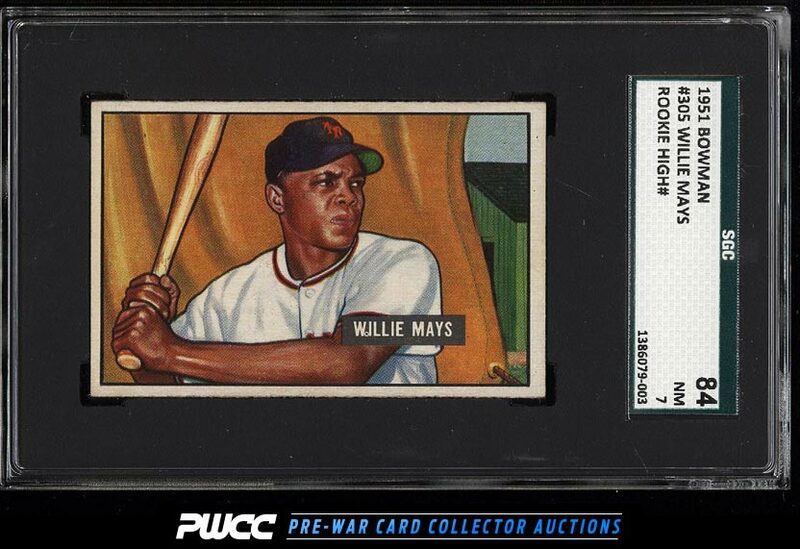 Outstanding high grade Mays rookie which was graded in person at this year's National Convention by one of the many loyal SGC minded collectors. A beautifully preserved example with exceptional surfaces; fantastic print, color and focus throughout. Never does this card come with such fantastic color and overall registration. The corners are virtually NM-MT and the centering is good for the issue. Among the very best May's rookies we've brokered in recent months and only deserving of the finest collection. One of nearly 20,000 cards, lots, and sets up for bid in our 7th Auction of 2016. Click on the link above to view the other PWCC auction lots.